NHS Quest is the first member-convened network for NHS Trusts who focus relentlessly on improving quality and safety. 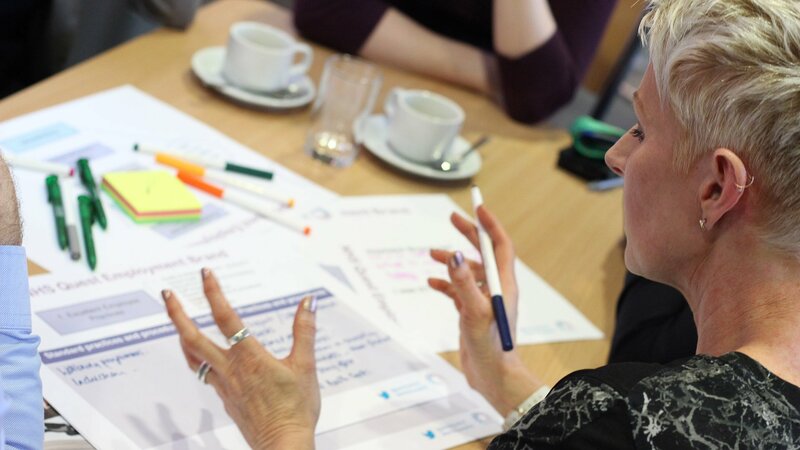 NHS Quest members work together, share challenges and design innovative solutions to provide the best care possible for patients and staff. NHS Quest empowers individuals at all levels of our member organisations from the board to the bedside. Our focus is to develop an optimistic and compassionate culture for our workforce, in order to reliably deliver the best possible care. 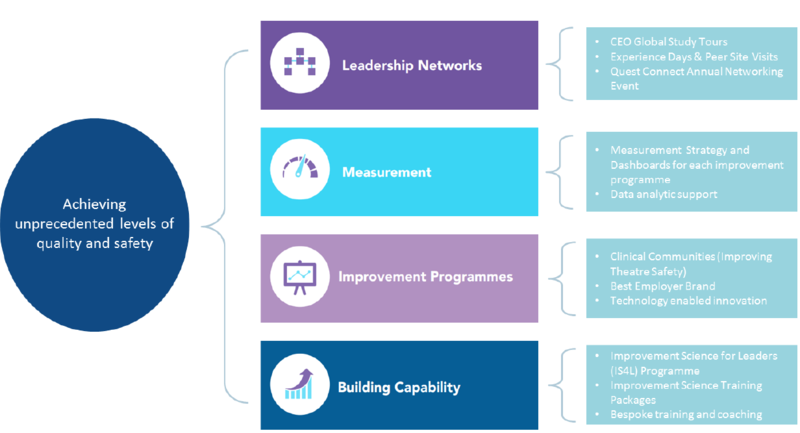 We use improvement science methodology to drive sustainable change at pace and scale across a national network. 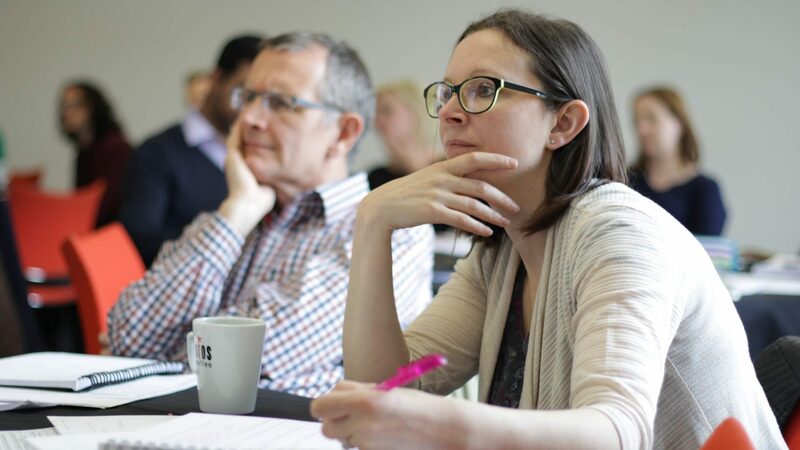 Our members are an action-orientated, ambitious and committed network of 16 organisations. NHS Quest is hosted by Haelo, Salford’s Innovation and Improvement Science Centre.